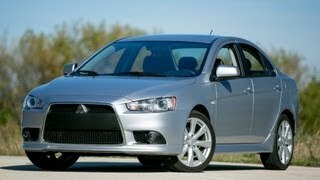 The new Mitsubishi Lancer 2013 has been launched and one of the main attractions of this newer model are its trim levels amongst which can be found the new Lancer SE and of course the GT. 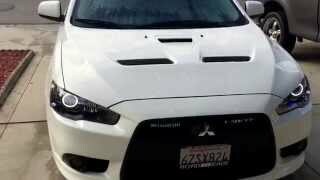 This year's Lancer received a pretty large number of updates including new materials and an even higher attention to details. 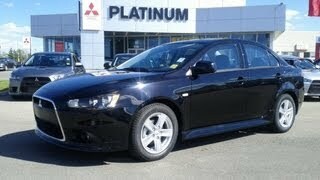 Alongside the Lancer SE, DE, ES and Ralliart, the GT is probably the most popular trim level of them all. 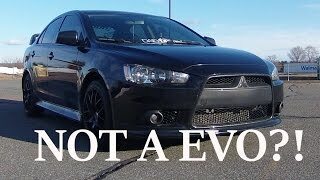 The GT is the previously known GTS and this particular trim level combines both a large number of luxury features, sporty features and a more affordable price than the Ralliart. The new GT is equipped with a 2.4 liter MIVEC engine developing 168 horsepower. The engine is mated with a five-speed manual gearbox as standard but there's always the possibility of choosing a continuous variable transmission featuring INVEC-III and Sportronic shifting as an optional extras. Performance-wise this particular trim level is able to go from 0 to 60 in 7.5 seconds and offers better handling in the corners thanks to the GT-tuned suspension system. On the exterior the GT 2013 offers a set of fog lamps, side turn indicators, dual power side view mirrors, roof-mounted antenna, clear and black tail lights, a new chrome exhaust tip, color-keyed outside door handles, side mirrors and rear spoilers, a new set of 18 inch alloy wheels with P215/45R 18 tires and the black slotted-mesh grille with chrome surround. As before the new Lancer comes with great performance figures and great handling that makes driving this particular sedan a true joy. Nevertheless, as with the previous models safety has not been overlooked and the new model comes with loads of safety features including the 4-wheel disc ABS system with Electronic Brakeforce Distribution, Active Stability Control, Tire Pressure Monitoring System, Reinforced Impact Safety Evolution unibody construction with front and rear crumple zones, antitheft alarm with theft-deterrent engine immobilizer, LATCH system for child-safety seats and 7 airbags that come as a standard. Other features offered both as a standard and optional extras include power locks, mirrors and windows, fast-key electronic entry and start system, leather-wrapped shift knob and tilt-adjustable steering wheel, cruise control, sport front 6-way adjustable bucket seats, chrome instrument panel accents, a 140-watt CD/MP3 audio system featuring DSP and six speakers, Fuse Hands-free Link System with USB port and Variable-intermittent windshield wipers just to name a few. 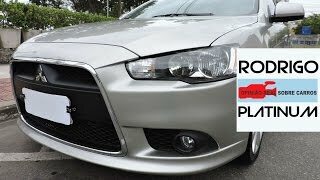 As for pricing, the Mitsubishi Lancer GT 2013 has a MSRP price of $20,000 and key competitors remain the same as before, including the Mazda 3 and the Subaru SX4 sedan.